Manage your account and make payments using our app. We can design a loan with a term between 3 and 10 years so you can get a payment that fits your budget. Borrow up to 95% of your home's value. The actual annual percentage rate you will receive will be based upon your credit score. You will be informed of the annual percentage rate for which you qualify before you become contractually liable for the loan account. Restrictions may apply. For complete details on all loan products, please review our loan product pages or contact us at 800-342-3086, extension 1300. Primary residence in state of Tennessee. How much of my home's equity can I borrow? Didn't find the calculator you need? Visit our calculators page to find more. A home equity line of credit makes your home's equity available in case of emergency or unexpected expenses. What's the difference between a home equity loan and a home equity line of credit? With a home equity loan, you can borrow up to 95% of your home's value and lock in a low fixed interest rate. 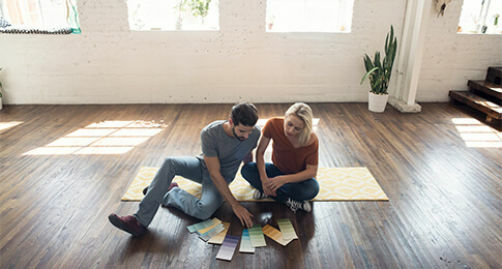 A home equity line of credit is a revolving line of credit with a variable rate that you can access at any time, for any amount up to your approved limit. How quickly can I be approved for home equity loan or home equity line of credit? You should expect the process to take between two to four weeks on average from the time we receive a complete application, depending on the level of documentation required. How much equity do I need in my home to take out a home equity loan? We can lend up to 95% of your home’s value, which includes any balance owed on an existing first mortgage loan. The maximum loan-to-value varies based on credit tier and loan amount requested. Will my APR change with a home equity loan? No. You can borrow up to 95% of your home's value and lock in a low fixed interest rate. 20. Home equity loan products are only available on primary residences in the state of Tennessee.